When you click X button to close your ManyCam window, it appears as a tray icon in a tray menu and is still active. Clicking on the tray icon will open the main ManyCam window. You can close ManyCam from the tray icon menu by clicking “Exit”. Please pay attention to the way you close ManyCam, if you want all your settings saved. All changes will be saved when you close ManyCam using “Exit” even if you restart your PC. 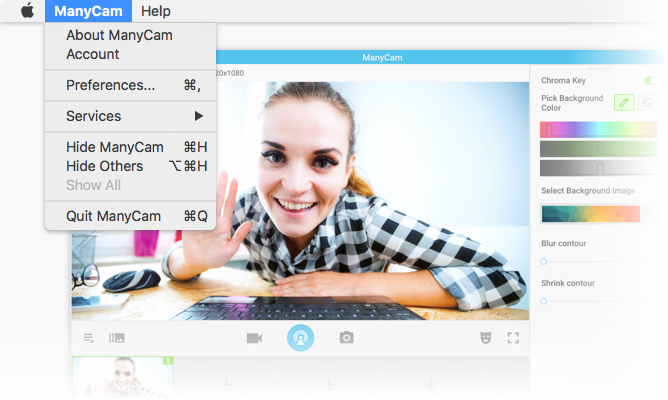 To properly close ManyCam on a Mac and keep all your settings, navigate to ManyCam menu and select “Quit ManyCam”.